Scenario-based training is the most effective method of learning, practicing and understanding practical skills and concepts by placing the candidates in representative environments and exposing them the realistic scenarios, ideally played out in real-time. 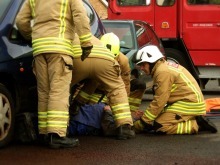 There is tremendous amount of credible evidence of the educational benefit of scenario training but it is very often something which is merely payed lip service to; short, contrived scenarios which only allow candidates to 'go through the motions'. Support decision making and problem solving skills in order to use the new ideas gained from the experience. 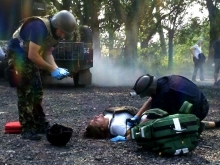 REAL First Aid are experts in choreographing realistic training scenarios for urban, remote, industrial or hostile environments with the ability to effectively facilitate and debrief. More advanced scenarios include the use of prosthetic wounds and moulage, pyrotechnics and sound effects: Where possible we deliver training programs on-site or in actual working environments but where this is not possible or the risk is to high we introduce sound effects, lighting techniques and pyrotechnics to distract and eventually desensitise. Whether the background noise required is ambient traffic,a construction site or something environment-specific; we can create sound effects used to distract and disorientate, provide context and challenges the senses. Stop-start scenarios allow interjection of feedback at key junctures. Video recording allows visual and auditory feedback of the candidates own performance from different perspective including their own, the casualty and the wider scene. Contact us to find out how we can bring something powerfully effective to your organisation.